← Bird Mural for Glen Echo Indianola Street Bridge Is A Go! 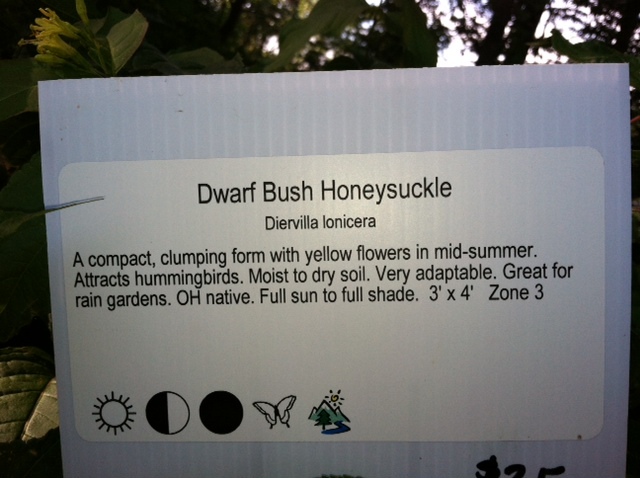 Wait – There’s a Good Honeysuckle?! Now Pete is always one to extoll the virtues of using native plants. I agree that natives can be beautiful and can better handle the weather conditions in Ohio, including drought. But one of the other benefits of having native plants is the insects that are attracted to these plants, something that my entomologist husband gets excited about. When I can home from work tod ay, Pete was like a little kid, informing me that we had a snout butterfly (Libytheana carinenta) in our yard, something that John Shuey, who studies butterflies, told Pete would never make its way into an urban environment. My first thought was, “How could anyone put the word “snout” in a name for something as beautiful as a butterfly?” (When you look at the picture, you’ll see why that common name was chosen.) Pete thinks that the combination of removing invasive species from Glen Echo along with the newly planted native trees is bringing a greater diversity to our neighborhood. 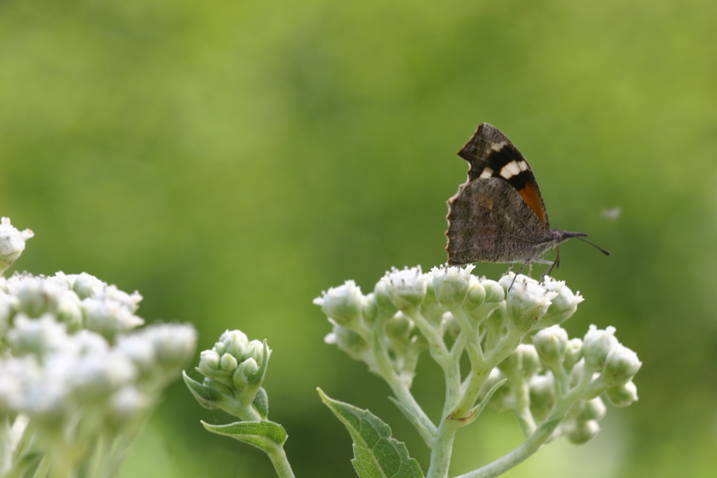 According to the Ohio Department of Natural Resources, the American Snout is the only butterfly species that was originally described from Ohio. In other words, the first butterfly of this species ever found was in Ohio, in 1852, by Jared P. Kirkland, a naturalist from Cleveland. The larvae feed on hackberry; this butterfly was feeding on the wild quinine in our yard and seemed quite content to get all of his (or her) nectar from that source. 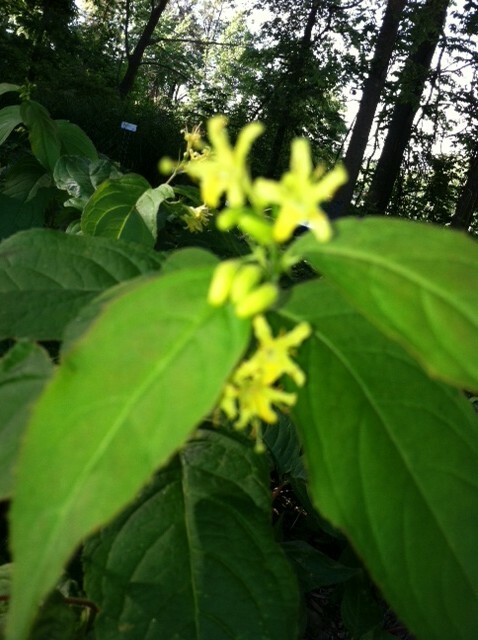 This entry was posted in General Information and tagged American snout, butterfles, native plants. Bookmark the permalink.